The Brock Report is an agricultural commodity advisory newsletter that has been delivering powerful, convenient information and risk management strategies to farmers, land owners, lenders, processors and other agribusinesses for more than 30 years. Our goal: To help you market your product in the top one-third of the year’s price range or buy in the bottom one-third. Published 48 times a year. Monthly subscriptions are in effect for a one year period. Brock Daily Market Comments help you stay abreast of what the agricultural markets are doing and give Brock Associates’ perspective three times each trading day. Advice alerts issued when Hedge and Trade recommendation is made. Morning Comments issued before 8 a.m.
Mid-Day Comments issued before noon. Afternoon Comments issued before 4:30 p.m.
Market Edge are 45- to 60-minute web-based seminars that bring Richard Brock into your office or living room and give you timely updates on changes in the information influencing market prices. Brock Dairy Report is a two-page e-newsletter published twice a month that helps dairy producers make educated marketing/risk management decisions and keeps processors and others in the dairy industry well informed. 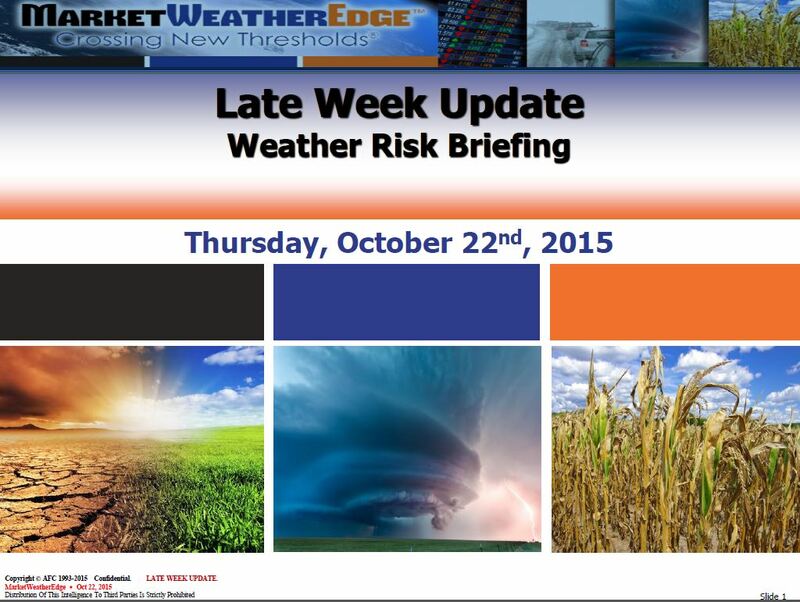 MarketWeatherEdge TM is an exciting, innovative and interactive local-to-global weather risk program that combines in-depth weather analysis with agricultural commodity market intelligence and strategies. Past results are not necessarily indicative of future results. There is a risk of loss as well as profits when trading futures and options. The contents of this site are copyrighted by Brock Associates. Any unauthorized redistribution or reproduction is strictly forbidden.